The following model(s) have reached the End Of Life phase. Limited number of units available, please contact your Sales Representative at Hatteland Display. 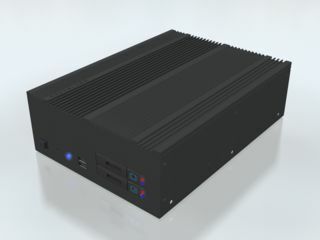 HT B30 Compact / Ultra Compact Fanless Computer models are in mass production. - Form Fit to HT B22. - Improved computing and GPU performance. - Increased flexibility, improved function vs cost. EN60945 tested and type approval EU RO MR - Mutual Recognition (covers DNV, BV, ABS, GL, NK and LRS certificates) pending. For further enquiries regarding this End of Life Notification, please contact your Sales Representative at Hatteland Display.